The Enjin Wallet is #1 in security, speed & features. Independently audited and more secure than any other crypto mobile wallet. Made for Ethereum ETH, Bitcoin BTC, Litecoin LTC, Altcoins, ERC20, ERC721 and ERC1155 Tokens. Pioneering security features that no other wallet features, turning your phone into a hardware-like, secure blockchain wallet. Swap & Exchange Coins & Tokens. Supporting ERC20 Tokens, Bitcoin, Litecoin. Swap instantly & directly via our partners Kyber, Bancor and Changelly. Unlock your wallet with a fingerprint, send & receive assets via QR codes, track your hardware wallet - and more. No annoying ads. Zero trackers. Your private keys are your own. Paper-powered, 12 word passphrase backup. Create, manage & track infinite BTC, ETH, LTC, ERC-20, ERC-721 and ERC-1155 wallets. View crypto wallet balances in your local currency. Support for over 30 languages. Store everything from gaming assets and tokenized memes to retail coupons and membership tokens. Supports ERC721 & ERC1155 Collectibles. Scan a QR code - and instantly get ERC20 airdrops & altcoins, or claim valuable ERC721 & ERC1155 crypto-collectibles. Use your fingerprint to immediately check your portfolio, without entering yet another password. Tired of cables? Use the Enjin Wallet to easily track your hardware wallet balance & transactions. Track Trezor, Ledger and other hardware wallets. Automatically add and detects tokens from the wallets you import or track. Use optimised, dynamic fee calculation - or set your own custom fees and limits. Import from all major wallets such as Trust, Coinbase and Blockchain wallets in a few easy steps - and sweep Bitcoin & Litecoin. Custom keyboard designed to protect you from any form of data sniffing or keyloggers. Two completely independent layers of cryptography protect the keystore and your confidential data. In case your device gets lost, you can restore your wallet with just 12 words written on paper. Custom ARM instructions ensure that sensitive data is instantly deleted from your phone's memory. All key data is held and processed in encrypted Random Access Memory. Scan QR codes to send, receive and claim digital assets. Send, receive & melt ERC-1155 tokens - everything from gaming multiverse items to membership tokens. Support for Gods Unchained, Axie Infinity, CryptoKitties & Blockchain Cuties. Enjoy a clean overview of everything from game metadata to transaction logs. Reach out to our support team if you need help anytime or join our Telegram channel. Founded in 2009 and based in Singapore, Enjin Pte Ltd is a leading blockchain ecosystem developer. Enjin builds a suite of user-first blockchain products that enables anyone to easily create, manage, store, explore, distribute, and integrate blockchain-based assets. The Enjin ecosystem is fueled by Enjin Coin (ENJ), an Ethereum-based cryptocurrency used to directly back the value of next-generation blockchain assets. Device Notifications for ETH, Tokens and Assets. Device Notifications support for watch wallets. Turn On/Off Device Notifications per wallet. Reveal Codes: Scan a QR to receive tokens with hidden messages. Reveal Codes: Reveal giftcards, promotions and other claim codes. Transaction Detail page updated with new design and information. Enjin Wallet Swap: Changelly Fixed Rate exchange option added. Enjin Wallet Swap: View coin balances in selection. Enjin Wallet Swap: Select “max” to fill in max value. Like many others I have used several mobile wallets from big names to little guys. To be honest I have been sadly disappointed more times then not. Yet, Enjin Wallet is a game changer. So far it has been extremely stable and allows you the privacy to control your own seed. Now the more, Enjin Wallet exchange is convenient,simple, and actually works. With a cherry on the top, the QR scanner and projects like Enjin Beam push the horizon of crypto collectibles with awesome giveaways. For the gamers like me, all the games offered on enjin platform all utilize the QR scanner giveaways to promote with items backed by enjin coins. 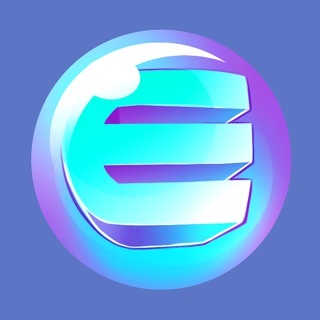 Certain collectibles are even called multiverse where they could be utilized in several of enjin’s game. It’s a must have. A couple of months back, I saw the Enjin wallet being advertised for the Google Play store and thought to myself “Wow, that app looks great! Simple structure where I even own the private keys.” Now that it has landed on the iOS App Store and I’ve had some time to play around with it, I can happily say that the Enjin team fully delivered on everything that was promised. After trying several different apps of this nature, I can honestly say that this is one of, if not the, best software wallets currently available on iOS. After leaving ENJ on binance for longer than I care to admit, I was thrilled to see that enjin wallet released yesterday. The transactions are fast and you can choose how much GAS you pay based on how fat you need to transaction to clear the blockchain. The interface is very clean and the app runs super smooth. You can hold all ERC20 tokens on the enjin wallet and after writing down your seed phrases and creating a password, you can access it any time using our fingerprints. This is the best, most secure mobile wallet.